This article provides you with information to understand the addictive memory and your options to deal with it so that you can make the first step to quit smoking. Nearly every smoker is aware that smoking harms him or her and that he or she should quit earlier rather than later. Despite this knowledge it normally requires several attempts to sustainably quit because smoking is not just a bad habit it is a severe addiction. And the addictive memory plays an important role. This article will explain the addictive memory and show how to overcome it to lead a sustainably smoke-free life. How Does the Addictive Memory Work? The addictive memory is built during the so-called smoking career. During this time smoking never happens isolated and without any connection to thoughts, feelings and behaviour. For example, there are many smokers who associate smoking with stress reduction and a relaxed state. They smoke after an important exam or a stressful day in work. Like the association of smoking and mental states there also is a connection between smoking and behaviour. Smokers have fixed routines such as smoking with their coffee during lunch break or with their beer after work. During the smoking career, these mental, behavioural and social patterns sink deeply into the semi- and sub-conscious and form the addictive memory. Every time a smoker (or an ex-smoker) is confronted with the sign stimuli of his or her smoking career the addictive memory will be activated and cause cravings. Therefore, it is not surprising that the physiological processes and structures of a smoker change (relatively quickly) too. Because of the incorporation of nicotine the “physiological reward system of the brain” releases neurotransmitters that give a smoker a pleasant feeling. The “physiological addictive memory” will be activated every time the level of neurotransmitters and with it the good feeling drops because of a lack of nicotine. Unfortunately, the addictive memory is at least in parts irreversible. Even a long time after you have quit smoking your semi- and sub-conscious can remind you of smoking if you face the related sign stimuli. So you probably cannot avoid to cope with physical and mental cravings especially during the active phase of dehabituation. Furthermore, you should be aware that you never actually loose the addictive memory and your smoking addiction. But you can be stronger than both of them to reach and lead a life without smoke through a sound stop smoking programme. How to Overcome the Addictive Memory? As mentioned above the addictive memory consists of several levels; the physiological processes and structures are one of those. After you have quit smoking these physiological effects of smoking will return to a normal and healthy level in a relatively short period of time. Then nicotine is no longer required to release neurotransmitters that give you a pleasant feeling. But be aware that you probably will face some very tough cravings during your active dehabituation such as attacks of sweating or difficulties to concentrate. On the mental level, you can face cravings even a long time after you have quit smoking. Your addictive memory will remind you of smoking if and when it receives the referring sign stimuli. Therefore, you need to break the cognitive connections between smoking and pleasant states of mind and replace them with actually healthier associations. Ask yourself why do you smoke and what do you associate with smoking. Then you can define alternative cognitive patterns and establish them in your thinking. For example, it is not logical at all that smoking helps you to cope with stress; it is rather a balanced and fulfilling daily life that leads to a relaxation and self-contentment. There are similar ways to overcome your addictive memory on the behavioural and social level. After you have recognised your smoking habits you can replace them with a healthier and more beneficial behaviour. For example, no one forces you to smoke on your lunch break; a short walk under the open skies or a refreshing glass of orange juice can do you far better. If and when you stop smoking you need not only a sound method that applies to all levels of the addictive memory but also a strong motivation. It does not matter how good your stop smoking programme is it is very likely that you have to cope with cravings and difficulties. Therefore, you should define your benefits of a smoke-free life and use these reasons to stop smoking as your motivational guideline during the active phase of the smoking dehabituation. 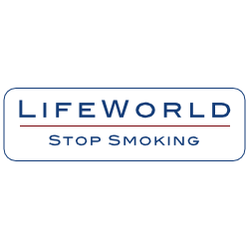 And despite all challenges and temptations you can rely on the fact that you will lead a significantly better life after you have quit smoking. Please note: This article is for informational and educational purposes only. It cannot be used as a substitute for medical and therapeutic care of a physician, psychotherapist, or other health care provider.